Dr. Subhash Halder, an orthopaedic surgeon from the UK, invented the Gamma Nail for the fracture neck of the femur over 30 years ago. Till today it remains one of the most popular implant in the world to treat fractures neck of the femur, specially unstable extra capsular fractures. Convinced by the quality of our products and our promise to match the products to international standards, Dr. Halder initiated a collaboration with GESCO in 2013 to develop the new generation of the Gamma Nail, that would address both intra-capsular as well as extra-capsular fracture of the femur by close method. Before the invention of the Gamma Nail by Dr. Halder, it was difficult to hold the fractures of the upper end of the femur in place, especially for the elderly. The fracture used to fix through the Open reduction and fixation with ‘Pin and Plate’ type implant. The outcome of the operation was not always ideal, as body weight was transmitted from the head of the femur through the implant in lateral side. However, in human biomechanics of the upper end of the femur, 2/3rd of the body weight is transmitted from the head of the femur to the medial side of the neck of the femur. This was one of the reasons, fixation of fracture neck of the femur with ‘pin and plate’ was not adequate. Considering this biomechanics, Dr. Halder developed the Intramedullary Implant with the help of the Howmedica Orthopaedic Company since 1985. After a few modifications, the device was commercially launched in 1992 as a Gamma Nail. The Gamma nail is an intramedullary device and the operation is performed by close method without opening the fracture. 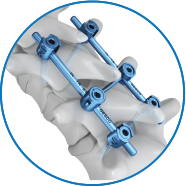 With this implant, the body weight is transmitted medially through this implant according to the biomechanics of the upper end femur. Thus, the Gamma nail revolutionised the treatment of the fracture of neck of the femur and is the most recommended treatment for unstable extracapsular fractures in the world. After addressing the problems of the extracapsular fracture, Dr. Halder set out to solve the problem of intra capsular fracture of the neck of the femur. A hip-replacement surgery is usually recommended for patients above the age of 70 who suffered this fracture. But for younger patients with this fracture are treated in open method, similar to before the invention of the Gamma Nail. Again considering the biomechanics of the upper end of the femur, Dr. Halder improved upon the existing design of the Gamma Nail to address the intra capsular fracture neck of the femur by close method. This new implant, called the Halifax Nail, A set of ‘Tri-Wire’ is incorporated inside the Lag screw. The ‘Tri-wire’ extend to the periphery of the femoral head in subchondral bone area to give a better rotational stability. After years of R&D GESCO, under the guidance of Dr. Halder, launched the Halifax Nail, a product that can be used for the treatment of both extracapsular and intra capsular fracture.